The menisci are two C-shaped pieces of cartilage present between the thighbone (femur) and shin bone (tibia). They act as a shock absorbers and can be injured with twisting injuries. 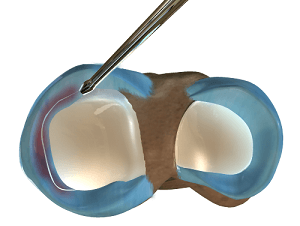 A partial meniscectomy involves removal of the damaged parts of the meniscus. The surgery is performed arthroscopically through portals inserted through a few small incisions. A partial meniscectomy helps relieve pain and can return you to your regular activities.